It all started with French sweeties. Bêtises de Cambrai are one of the best-known French sweets and, let’s face it, they’re essentially boiled sweets. Nothing wrong with that, of course, but when I was wandering around in the vicinity of Cambrai I was slightly surprised (and not in a particularly good way) to see them being used in various forms of patisserie and dessert. A while later, I read Jean-Christophe Novelli suggesting that British glacier mints were simply the equivalent of the famous bêtises and could be used in the same way. Well, for some unimaginable reason, I couldn’t resist. So with sincere thanks to M Novelli, here’s how to add an ice queen and possibly slightly silly effect to your desserts and ice creams at this festive time. Buy some glacier mints (the ones with the polar bear on them are ideal, but pretty much any boiled sweet will do). Unwrap some of them (it’s probably not worth trying to use less than 15 or so) and drop them into a sturdy blender. Pulverise them until they resemble quite a fine powder. Spread a thin layer of the powder onto an oven tray covered with silicone or non-stick baking paper. If you want to be clever you can form them into shapes with a template cut out of silicone but if you want a random, icy effect then don’t be too precise. Put the tray into an oven at 170°C and leave it there until the powdery residue melts – this will only take 2 or 3 minutes. If you want it to be neat, then take the tray out as soon as the sweets melt, but let them bubble up a little bit for a more random, holey effect. Take them out of the oven and let the tuiles cool completely on the tray. Once cool, lift the tuiles off as carefully as you can and break into suitably sized shards. If you’re not using them straightaway, they’ll store quite happily in an airtight container for a while. Actually the above “recipe” was largely an excuse for my annual bit of indulgent, self-regarding nonsense: The Best Music I’ve Listened To While Cooking This Year. I could have chosen the Decemberists, Ryan Adams, Steve Tilston or, to mark his passing, Bert Jansch. But, in the last year, the most enjoyable music in my kitchen has been the pure, joyous pop of the Silver Seas. Oh and a special mention for Michael Franks, not only for delivering the most laidback album of the year, but also for managing to rhyme “squirrel” with “intramural”. And finally, two fine bands that I’d not been aware of before this year. From Reading, Pete and the Pirates. And for the especially chilled (and maybe, melancholy) moments and desserts, from Newcastle, Lanterns On The Lake. Now I really must get back to some cooking. You might think that this recipe is just another stop on my interminable journey around the cakes of France. Well, I suppose it is but, in this case, Choclette of Chocolate Log Blog is largely to blame. For the December We Should Cocoa challenge Choclette has specified the combination of chocolate and orange. That made me think immediately of nonnettes. Nonnettes are deliciously moist, sticky cakes originally made by nuns and are often associated with this time of year, although you can buy them anytime. The ingredients and method are very similar to pain d'épices but they’re normally flavoured more strongly with orange. Marmalade is placed on top of the mixture before baking and sinks into the cakes as they cook. Nonnettes don’t normally contain chocolate, but I saw some with chocolate on sale the last time I was in France and I’ve been intending to make a batch ever since. This version is pretty close to the traditional recipes that I’ve come across but I’ve simplified the spicing. There are many versions of spice mix for pain d'épices and nonnettes but they will often contain a mix of cinnamon, cloves, ginger, aniseed, cardamom and probably a few other spices as well. I’ve just used cardamom here because I wanted a delicate, scented effect that didn’t muddy the orange flavour. (To make the ground cardamom, remove the seeds from the pods, toast quickly in a dry frying pan and then crush.) I’ve used a small amount of rye flour in this recipe because I was told (in no uncertain terms by someone French and bigger than me) that all pain d'épices and nonnettes must contain rye flour for both texture and flavour. I stand by that advice but I’ve come across plenty of recipes which omit the rye, so feel free to use all plain flour if you don’t have rye to hand. Although it’s not strictly traditional, it’s easiest to use a muffin tin for these cakes. I used silicone muffin moulds but if you don’t have silicone, then grease the tin carefully because the honey can make these cakes a little difficult to remove. You should get somewhere around 12 –14 nonnettes with this recipe. Put the honey, water, milk, brown sugar, butter and orange extract into a saucepan. Heat gently, stirring all the time, until the butter has melted, the sugar has dissolved and the mixture is smooth and uniform. Take off the heat and pour into a mixing bowl. Mix together the flours, baking powder, bicarbonate of soda and the ground cardamom. While the honey mixture is still warm, sieve the flour mixture onto it and whisk the two together until smooth. Stir in the orange zest and the chocolate chips. Put the mixture into the fridge and leave it there until thoroughly chilled – at least an hour. Preheat the oven to 180°C. Spoon the mixture into the muffin moulds until they’re somewhere between two-thirds and three-quarters full. Place a teaspoon of marmalade on top of each nonnette. Bake in the oven for 20 minutes. It can be a little tricky to judge when the cakes are ready – they should be golden brown and, although still soft, they should spring back when pressed gently. While the nonnettes are still warm and in their moulds, mix the icing sugar with enough orange juice to create a thin icing. Paint the icing over the nonnettes with a pastry brush. The idea is to create something resembling a thin sugar glaze rather than an iced cake. Allow the nonnettes to cool before attempting to remove them from the moulds. Traditionally it’s said that the flavour of nonnettes should be allowed to develop and that you should adopt nun-like restraint and not eat them until the following day. In my view, that’s not a realistic expectation. Recently, I cleared out some of my old cookery books and took them down to the charity shop. Then Dom of Belleau Kitchen set the Random Recipe challenge for December as follows: choose a book that you never use, cook something from it and then take it down to the charity shop. Since I’d just given away all my ignored and rarely used books, I had to make a desperate search. Eventually I found half a dozen books that aren’t exactly in the rarely used category, they’re actually in the category of “I really can’t believe that I still have these”. They’re the kinds of books that supermarkets used to sell in the 1980s for 99p and some other very odd books that I think must have arrived from a parallel universe. It wasn’t a pleasant prospect but in the spirit of the challenge I chose one of these books at random - the “Microwave Cookbook”. This is a collection of Good Housekeeping recipes published in 1985 and I have a feeling that it came free with my first ever microwave. As I picked it up, the book came open at the last page and there before me was a recipe for Quick Chocolate Fudge. So a short while afterwards I had a plate full of chocolate fudge. It’s not the greatest fudge I’ve ever had, but it’s most certainly not the worst either. Above all, it’s not a lot of effort and that counts for quite a bit sometimes. I’ve amended the original recipe slightly in the light of experience. Put everything into a large, microwave-proof bowl. Microwave on High for around 3 minutes or until the chocolate has melted. (Since microwaves vary in power, you need to watch this stage carefully). Beat the mixture vigorously with a wooden spoon until smooth. (In fact, it’s a bit tricky getting the mixture completely smooth and if I made it again I think I’d use an electric mixer with paddle attachments instead). Pour into a buttered 20.5cm x 15cm (8 x 6 inch) rectangular tin. Place in the fridge for an hour or two until set. Cut into pieces – you’ll get up to 36 bits, assuming you’re not too greedy. I’m off down the charity shop now, but I’m taking some other things as well to avoid the embarrassment of handing over my sad old cookery books on their own. Savoury jellies are great things to have in the store cupboard. They’re perfect with cheeses and cold or roast meats, but they’re also excellent as cooking ingredients in casseroles, marinades and stir-fries. The basic method for making jellies based on apples is venerable and traditional but it does allow plenty of scope for variations in flavour. This is my approach to the traditional method and I’ve given options for my two favourite jellies: black pepper, cumin and fennel jelly and chilli jelly. There are plenty of other options that are worth trying, though; for instance, ginger is really useful and herb jellies such as rosemary and thyme can be used in many different ways. Bramleys are probably the most common apple to use when making jellies, although any cooker will be fine. (For these jellies, I used Endsleigh Beauty, which is a lovely old variety from Devon). You can also use crab apples rather than cooking apples, but, obviously, you don’t need to chop them up as much. This may sound like a lot of apples but you’ll only get around 3 – 4 small (200 ml) jars of jelly at the end. On the other hand, the flavour should be so intense that those few jars will go a long way. For each kilo of apples, you’ll need around 1 litre of liquid in the first stage of cooking. For these strongly flavoured jellies I use a half and half mix of cider vinegar and water. For more delicate jellies it’s often better to reduce the amount of vinegar or cut it out altogether. For sweet jellies, of course, just use water - although a little lemon juice is usually no bad thing. Recently, I’ve seen a number of recipes that tell you to use jam sugar (sugar with added pectin) along with the apples. The suggestion seems to be that extra pectin will make the process easier. There’s plenty of pectin in apples already so I don’t think that using jam sugar does make it any easier. It also gives a firmer set which I think is much less pleasant and more difficult to melt quickly into sauces, marinades, gravies and the like. Place the apples in a preserving pan and pour over the liquid. Add the flavouring – either the chillies or the pepper mix. Bring the pan to the boil, put a lid on and simmer until the apples have completely fallen apart and you have a nice mushy mix. This will probably only take 15 or 20 minutes for most types of apple. Put everything into a jelly bag (or construct a thick muslin bag) and leave it to drip into a container while you go and get a good night’s sleep or while you do something else for around 5 hours. As every book on jellies will tell you, NEVER force the pulp through the bag – the jelly will go cloudy if you do. (It'll taste fine, though, if you don't mind clouds). After the many hours of doing nothing, measure the amount of liquid that’s dripped through the bag and pour it back into the cleaned preserving pan. Add the appropriate amount of sugar (essentially it’s a pound of sugar for every pint of liquid, but I’m metric these days). Heat gently, stirring, until the sugar dissolves. Bring the mix to a boil, skim any unpleasant-looking scum from the top of the jelly and boil until it reaches setting point. The time this takes will vary but is usually somewhere between 10 and 20 minutes. You can check for a set with a jam thermometer or the old wrinkle test: chill a saucer in the freezer, put a small dollop of the jelly on the saucer, wait a moment or two and if the jelly wrinkles when you push it, then it’s ready. Personally, I think it’s better to err on the soft side for jellies if you’re in doubt. As the jelly starts to cool, it will begin to thicken. At this point, stir in the final flavourings – either the chillies or the pepper and seed mix. The flavourings should remain suspended in the jelly; if they sink to the bottom, let the jelly cool a little more and stir again. Pour the jelly into sterilised jars and seal. I eat these two jellies alongside a lot of different foods, but my absolute favourite combinations are probably chilli jelly with sausages (especially venison sausages) and the black pepper jelly with plain roasted duck. This month Dom of Belleau Kitchen and Jacqueline of Tinned Tomatoes have joined forces or rather challenges and come up with the Random Recipe No Croutons Required challenge. What that adds up to is that I wanted to choose a vegetarian soup recipe at random from my book collection. The first cookbook I randomly selected had no soups at all but the second was ‘Classic Bull’ by Stephen Bull, which has a small section on soups, and the randomly chosen number nine gave me this little gem. There are some excellent recipes in this book, so I was confident that this soup would be good and I promise it is. I have to confess that I made a variation to the original in that Mr Bull uses chicken stock and I just had to be vegetarian. The amount given here would serve 4 as a light and refined starter but, in this case, fed 2 as a very pleasing lunch dish. I served it hot, but it will also work perfectly well when served cold. Lightly toast the flaked almonds in a dry frying pan. Melt the butter in a saucepan and soften the onion over a gentle heat for 10 minutes. Add all the other ingredients, including the toasted almonds, to the pan containing the onions. Cook over a moderate heat for 20 minutes. Allow to cool a little, then liquidise. Chele of Chocolate Teapot has chosen apples as the ingredient to combine with chocolate for this month’s We Should Cocoa Challenge. I made a torte containing chocolate and apples for the challenge in September so I wanted to do something a little different this time. After a bit of personal food excess in October, I also wanted to make something fairly light. The idea of this dessert is to create something that looks quite substantial but is actually so light that looking at it in the wrong way will make it float away. It’s not really a millefeuille, you need puff pastry for that, but I can invent fancy names with the best of them. Nor is it a particularly difficult dish to make but it does require a delicate touch and, to be honest, I’m not sure that’s really my strong point. The amount given should serve 4 although I made big millefeuilles for sharing between two people. I freely admit that I stole borrowed the idea of the wavy chocolate tuiles from the chef Geoffrey Haxaire of the Auberge Frankenbourg. (No I haven’t been there – it’s a bit out of my price range.) The apple snow, on the other hand, is a very old British recipe. It’s in Mrs Beeton but there are versions of ‘snows’ in much earlier cookbooks such as ‘The Accomplisht Cook’ published in 1660. Most early versions of ‘snows’ include whipped cream and adding some cream to this apple snow will make the dish easier to put together but at the expense of some of its lightness. You can make tuiles by spreading the mixture onto lined oven trays in a freehand way but if you want to make regular shapes then you need a template of some kind. For these tuiles I used a long rectangular shape cut out of a piece of silicone baking sheet. Silicone will give you a reusable template but a clean piece of card will do for one-off use. Ideally you need something around 2mm thick. If you want to bend or curl the tuiles, then you need to do this as soon as they come out of the oven. To make the wave shape, prepare an uneven surface for the tuiles to rest on while they cool; I used a flexible silicone baking sheet with a couple of wooden spoons under it to make the wavy surface. You can make the tuiles well ahead of time, even the day before; they keep pretty well in an airtight container. The snow is also made a few hours ahead of time so that it can chill thoroughly before use. BUT don’t put the whole thing together until just before serving – it’s too delicate for standing round. First make the tuiles. Prepare a couple of oven trays by lining them with non-stick baking paper or silicone sheets. Preheat the oven to 160°C. Whisk the sugar, flour, cocoa powder and egg whites together thoroughly. (I really wouldn’t do this by hand – it needs quite a bit of whisking). Pour in the melted butter and continue whisking for a minute or so until thoroughly combined and slightly thickened. Place your template onto one of the lined baking sheets and fill with the mixture. You’ll need to smooth the mixture out with the template still in place – a palette knife is ideal. Continue until the baking sheets are full or the mixture is used up and place in the oven for 8 minutes. Carefully lift the tuiles off the baking sheets and either allow to cool flat or gently shape them using your prepared wavy surface. Once they’re thoroughly cool, lift the tuiles carefully and store in an airtight container until needed. To make the apple snow, peel, core and slice the apples. Put into a saucepan with the water, lemon zest and juice. Place the pan on a low heat, cover and cook the apples, stirring regularly, until they break down into a purée. This will take something like 15 – 20 minutes of gentle cooking. Take the pan off the heat and beat in the sugar with a wooden spoon. I used 125 g of sugar but it’s best to taste and add as much as you think it needs since the apples can vary a fair bit in sharpness. Set aside to cool and then chill in the fridge. (If there are some bits of apple that just don’t want to break down, then pass the purée through a sieve.) Whisk the egg whites until stiff, then gently fold in the cold apple purée. Chill the snow until needed. To serve, place a flat tuile on a serving plate, spoon on a layer of snow and carefully top with a wavy tuile. Repeat, finishing with a straight tuile on top. Decorate with a small drizzle of white chocolate and serve at once. We were meandering along the beautiful coast of the Cotentin peninsula in Normandy last month in search of Port Racine, the smallest and just possibly the most charming port in France. Port Racine, we discovered, is very close to the village of Omonville-La-Petite, the home and last resting place of Jacques Prévert. Since I love his poetry (even if I struggle with French), I felt it was only right that I go and pay my respects. A while later I was thinking about that line of poetry and about the British habit of adding jam to a rice pudding and the two ideas merged slightly oddly into this dish. The topping follows the same process as making a grape jelly (a very pleasing thing in itself) but stops short of allowing the jelly to set. Keeping a thick, but runny consistency should allow the grape syrup to mix nicely with the rice as you eat it. The gâteau de riz layer is perhaps a little less firm than many French versions and is flavoured with lemon rather than vanilla. I served the dish in a glass in homage to the French love of ‘verrines’ – or, to put it another way, their love of putting a wide range of food into glasses. This should serve 4 but if you have any grape syrup left over then it’s excellent with ice cream or added to savoury dishes in place of redcurrant jelly. Start making the grape syrup the day before. Wash the grapes and add to a non-reactive saucepan with a splash of water. Place on a low heat. Cover and cook gently until the grapes break down completely and release their juice. This will usually take between 10 and 20 minutes. Unless the skins are very thin, the grapes are likely to need a little persuasion with a fork during the cooking or they may remain stubbornly whole. Place the contents of the pan in a jelly bag (or a double layer of muslin) and allow the juices to drip into a bowl overnight. As usual with jellies or jams, don’t try to speed the process up by forcing the grapes through or you’ll get a cloudy result. The next day, measure the amount of juice obtained. It won’t seem very much, but I promise the taste will be intense. I had 200 ml of liquid and added 140 g of sugar, but you may find that you have a little more or less liquid and will need to adjust the amount of sugar to compensate. Put the sugar and the liquid into a pan with the lemon juice and heat gently with a lot of stirring until the sugar has dissolved. Bring the mixture to boiling point and boil for 5 minutes. It should have thickened considerably after this time, but won’t have reached the setting point of a jelly. Set aside to cool and store in the fridge until needed. Now for the gâteau de riz bit. Add the rice, lemon zest and milk to a saucepan and bring to simmering point with plenty of stirring. Continue simmering for 30 minutes, stirring regularly, until the rice is fully cooked. Preheat the oven to 150°C. Whisk the egg, caster sugar and crème fraîche together and stir into the rice together with the lemon extract. Put the whole lot into an ovenproof dish and place in a bain marie – well okay, place the ovenproof dish in a roasting tin containing hot water. Put in the oven for 30 minutes until the rice is set, but still creamy. Allow to cool. Spoon a portion of rice into each glass and chill. Pour over a layer of grape syrup just before serving. A few biscuits would be nice alongside the dish. (I used some colourful biscuits from Saint-Vaast-la-Hougue in the Cotentin just to keep the theme going). I’m entering this in the Novel Food challenge hosted by Simona of the blog Briciole, although I admit I may be stretching a point. I think it’s fair to say that this is a long way from what M Prévert had in mind when he picked up his pen. This is a simple and traditional recipe that I hadn’t made or even thought about for many years until the other day when I saw it mentioned in a restaurant menu dating from the early eighties. I think Lamb Shrewsbury is most often found as a sauce accompanying roast lamb and that’s probably the most authentic version. The recipe here, though, is for pieces of lamb cooked in the sauce and is a recreation of the way I first came across the dish sometime in the early or mid seventies. It’s a little retro but then so am I, probably. I seem to remember that this dish was often served with buttery mashed potato to soak up the sauce, but for this remake I served it with some roasted new potatoes and steamed green beans. This will feed 2 but probably with some sauce left over. You might need to play a seventies album while eating in order to get the full impact – maybe ‘Fleetwood Mac’ or ‘The Year Of The Cat’. Add the redcurrant jelly and Worcestershire sauce to a small saucepan, place on a low heat and stir until the jelly has melted. Add the lemon and orange juice and the lemon zest. Take off the heat, but keep warm. Heat the oil and butter in a frying pan and brown the lamb lightly. Place the lamb in a casserole dish, leaving the fat behind in the frying pan. With the frying pan still on the heat, add the flour and stir around for a few minutes. Pour in the redcurrant jelly mixture and the stock. Stir well, season with a little pepper (it’s unlikely to need any extra salt) and pour over the lamb in the casserole dish. Cover the dish and put in the preheated oven for 60 – 75 minutes. The lamb should be very tender and the sauce intensely flavoured in a seventies sort of way. For this month’s Random Recipe challenge Dom of Belleau Kitchen paired off last month’s entrants so that we could pick each other’s recipes. I was paired with Lucy of the excellent Vanilla Frost. Sadly for poor Lucy I spend a fair amount of time off line and away from technology but we eventually managed make a suitable selection following some exotic numerology. I got Sonia Allison’s ‘Complete Bread Machine Cookbook’, first published in 2001. More years ago than I care to remember we bought a bread machine. They were very new at the time and, compared to today’s models, pretty basic. We used it off and on but it didn’t produce great bread. Years later I was given Ms Allison’s book and quickly came to the conclusion that the worst thing about our bread machine was the book of recipes that came with it. Thanks to Ms Allison I learnt a new respect for bread machines. OK I know that as a food blogger I should be making my own sourdough loaves in an oven fired by driftwood gathered off the coast of Sarawak and using a starter found in one of the pyramids but, on a busy weekend, machines will do fine for me. The particular recipe that Lucy randomly selected is called ‘Indonesian Satay Bread’, although, to be honest, it doesn’t have much to do with satay or Indonesia. I admit that this may not be the most exciting or original recipe in the world but it’s a quick and very easy way to make a tasty and slightly unusual loaf. Great for wrapping up kebabs or some sort of spicy sandwich. In the original recipe Ms Allison suggested the use of a commercial stir-fry sauce that seems to be no longer available. So I used a Blue Dragon wasabi and plum sauce that took my fancy in the supermarket. Our old bread machine gave up the ghost several years ago and we bought one of the excellent Panasonic machines. The newer bread machines do work more efficiently and I’ve had to tweak the original recipe for the more modern machine – in particular I’ve cut the amount of yeast. I’ve also given the ingredients in the order suitable for a Panasonic, which adds dry ingredients first. Many bread machines add wet ingredients first, so reverse the order if yours works that way. Sadly Sonia Allison died suddenly the year after the Bread Machine Cookbook was published. I remain eternally grateful to her for persuading me that the machines were really worth the trouble. Add the ingredients to the bucket in the order given (see above if you’re not using a Panasonic machine). Set the machine to Basic Bread and the size to large. That’s all there is to it – just press ‘start’, sit back and wait. For this month’s We Should Cocoa Challenge Choclette of Chocolate Log Blog has issued the challenge of using chilli with chocolate. I have a slightly childish fascination for the way that chocolate can enhance and balance the flavours of savoury dishes and so this seemed like too good an opportunity to miss. I’d like to tell you that this is an authentic Mexican dish but I don’t really do authentic. In fact, this started out as a Pat Chapman version of a Mexican recipe some time ago, but it’s wandered a fair way from the original now and seems to have picked up some hints of korma on the way. It might seem like a long list of ingredients, but it’s actually a pretty simple dish to put together. You can use more chillies if you like, but personally I think this dish should be fragrant rather than seriously hot. The amount given here should serve 2 – 3. In a generously sized pan, start to soften the onion in a little oil for 5 minutes or so. Add the garlic and chillies and continue frying gently for another 5 minutes. Put the contents of the pan into a blender or processor. Lightly toast the sesame, cumin, coriander and aniseed in a dry frying pan for a minute or so (don’t overdo it), then add them to the blender. Lightly toast the hazelnuts and cashew nuts in the same way, being careful not to scorch them. Put the toasted nuts into the blender. Add the sultanas and sugar to the blender together with a generous grinding of black pepper and a little salt. Process the contents of the blender adding enough water to make a loose paste. Pour a little more oil into the pan and fry the paste for 2 – 3 minutes, stirring all the time. If the paste seems to be drying out, add a little more water. Stir the turkey into the paste and continue cooking for another 2 – 3 minutes. Stir in the passata, bring to a simmer and cover the pan. Continue simmering gently until the turkey is thoroughly cooked. (The simmering time will vary with the size of the chunks and how gently you simmer but somewhere between 15 and 30 minutes should do it). Finely grate and stir the chocolate into the sauce a little at a time, tasting as you go. The chocolate should add a bitter note to balance the sweetness, but don’t overdo it or the sauce will either become too bitter or taste too strongly of chocolate. Sprinkle over a little parsley and serve with plain rice or flat breads or both. My apologies for the lack of posts and responses to email and comments for the last week or two. I was wandering around Normandy and out of touch with technology. I was very much in touch with apples, cider, pommeau and calvados, of course, and so I think an apple recipe is in order. In fact, this recipe is from the Sarthe region rather than Normandy but let's not worry about geography. Pommé is a kind of apple jam without added sugar – well, actually it’s more of a cross between a jam and an intense compote. The only ingredients are dessert apples, cider and a lot of time. The result is an amber-coloured, soft jam with an extraordinary depth of apple flavour. The flavour of pommé will vary a lot with the type of apple chosen and I think the best option is to use a mix of sharp and sweet apples, if you have them. I used a mix of British dessert apples with Worcester Pearmain the main variety. The recipe doesn’t take a lot of effort once the preparation’s done but you do need a day when you don’t really want to stray too far from the kitchen. (I have a fair number of those). To make this properly you really should have a cooking pot suspended over an open fire in a Sarthe farmhouse, but, since I don’t have either the farmhouse or the fire, this method has been tested in an ordinary kitchen. You should end up filling about 4 standard jam jars. Peel, core and quarter the apples. Put them in a decent-sized preserving pan and pour over a third of the cider. Put the pan on the heat and cover. Cook gently for 3 hours, stirring every so often to make sure that the apples don’t stick. After 3 hours you should have a very loose compote. Add another third of the cider and continue cooking the mixture with the lid off for another 3 hours. Don’t forget to keep stirring every so often. Six hours after you started you should have an intensely fragrant mix which has an unfortunate resemblance to wallpaper paste. (Try to ignore this fact - I’m sorry I even mentioned it). Add the final third of the cider and continue cooking and stirring for another 2 – 3 hours. The colour should now be a pleasing amber and the mixture will have thickened somewhat. (It will never become a solid jam – it’s really not meant to be). Allow the pommé to cool slightly, pour into sterilised jars and, once cooled, store in the fridge. It’s good with breakfast, can be used with savoury dishes (notably pork, of course) and is great in desserts. Of course if you do have an open fire in a Sarthe farmhouse then can I come round some day? We could make pommé and eat sablés all day long. This recipe is a handy and tasty variation on tomato soup that uses plums to give a sweet and sour flavour. It’s based on a Michael Smith recipe from the 1980s. I don’t mean Michael Smith the very successful Scottish chef or Michael Smith the well-known Canadian TV chef; I’m talking about Michael Smith the cookery writer, TV chef of his day and great champion of British food, who sadly died back in 1989. This may not be exactly Mr Smith’s original recipe, but the spirit is there. It’s possible to make this with tinned tomatoes if you’re stuck for fresh, but you’re likely to need less passata in that case. It’s crucial to get the balance of sweet and sour right for this soup and you may need to adjust the amount of sugar you add depending on the sweetness of the plums and tomatoes you’re using. This will make 4 or 5 decent-sized portions. Soften the onion gently in a little oil. Add all the other ingredients, but only use 1 tsp of the sugar at this point. Season with a little salt and pepper. Bring up to a simmer and let the mixture bubble away gently for about 15 minutes or until the fruit is very soft. Allow to cool a little, then liquidise and strain through a fine sieve. Adjust the seasoning and add more sugar if needed. Reheat and sprinkle with a few leaves of chives and parsley or chervil before serving. 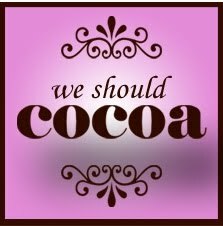 For the September We Should Cocoa challenge Chele of Chocolate Teapot has decided that we should celebrate the first birthday of We Should Cocoa. I was thinking of making a cake but that didn’t seem like a celebration somehow – after all, I’ve made cakes for other entries in the challenge. I was struggling to think of something different when my wife suggested this torta. This feels like a celebratory dessert to me because it’s not only delicious and seasonal, it’s also just that bit out of the ordinary (well, actually, it seems downright odd when you look at the list of ingredients) . The finished torta is thin, very moist, fairly delicate, not too sweet and tastes properly grown up. Not obviously suitable for a first birthday party, perhaps, but I’ve very little experience with 1 year olds, I'm afraid. There are a number of different variations on this torta but this version is essentially a Sophie Grigson recipe from the late 1980’s. I’m assuming that you know relatively restrained people, in which case this will serve around 8 of them. Grease and line a 23 cm cake or tart tin. This doesn’t have to be deep but one with a loose bottom will make life a lot easier. Preheat the oven to 150°C. Place the apple slices in a saucepan with half the sugar and 3 tablespoons of water. Thinly slice the pumpkin flesh, place in a separate saucepan with the remaining sugar and the milk. Cover the saucepans and gently simmer both pans until the apple and pumpkin are softened but not falling apart. Depending on the type of apple and pumpkin, this will probably take between 10 and 15 minutes. Pour all the contents of both saucepans into a bowl and allow them to cool just a little. Add the rest of the ingredients, one at a time and in the order given, stirring thoroughly between each addition. (The residual heat should melt the chocolate but the mix should be cool enough by the time of the last addition to not scramble the eggs). Pour the mixture into the prepared tin and smooth it over. Tap the tin on the worktop a couple of times to remove any air bubbles. Bake in the oven until set and reasonably firm in the centre – this will probably take between 40 minutes and an hour, depending on how much liquid the apples and pumpkin produced. Allow the torta to cool for a short time in the tin but remove it (carefully) while it’s still a little warm. The torta is best served cold. I’m hopeless at remembering to celebrate special events such as National Chocolate Cake Week (is there one?) or my birthday or whatever there is, but I can’t believe I forgot to celebrate International Talk Like a Pirate Day this week. Oh, the shame of it. Maybe I should have made a torta with rum instead. This is my favourite pirate song at the moment, by the way. Happy Birthday We Should Cocoa. 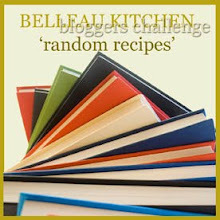 For this month’s Random Recipe challenge Dom of Belleau Kitchen has challenged us to pick a recipe at random from among those we’ve torn out of magazines, newspapers and the like. Fair enough, I thought, and went to my box of disorderly clippings and pulled out a recipe for Navettes cut from a well-known French magazine (I’m naming no names). I was a happy bunny because I’ve always fancied making these. Navettes are mostly associated with Marseille and are somewhere between a cake and a biscuit. They’re supposed to look a little like boats and, according to one story, may date back as far as ancient Egypt where they were made in the likeness of the boat that carried Isis. Not sure I really buy that, but I love a good story and this does seem to be a genuinely very old recipe. So I cheerfully began to make the navettes. But, Dear Reader, let this be a salutary lesson to us all. As I’ve discovered more than once in the past, the recipes in magazines are sometimes not subject to the same degree of testing and proofreading as those in books (or those of my lovely fellow bloggers, of course). It quickly became clear that this recipe was never going to work – the ingredients and amounts given were just plain wrong. But was I downhearted? Well yes I was a bit, but rather than abandon the navettes, I’ve played around with the recipe until it works. (Hopefully Dom will forgive me for slightly bending the rules.) You can nibble on these at any time of the day and they’re solid enough to carry with you for sustenance on a country walk. They’re also really good to dip into creamy desserts or to serve alongside ice cream. You can make these smaller or larger as the mood takes you, but this amount should give you between 15 and 20 navettes of a decent size. Sift the flour into a bowl and make a well in the centre. Lightly beat the two whole eggs and pour them into the centre of the flour. Add the sugar, softened butter, pinch of salt, baking powder, orange flower water and the lemon zest. Gradually mix the ingredients together with your fingertips, incorporating the flour bit by bit. Gradually work in enough of the water to form a smooth but still quite firm dough. You may not need all the water. As soon as the dough comes together and starts to feel smooth, stop working it. Divide the dough into 5 pieces. Roll each piece into a longish sausage shape – how thin is up to you, but an overall length of somewhere between 30 and 40 cm is probably about right. Cut each sausage of dough into three roughly equal pieces. Flatten each piece a little into an oval shape. Place on oven trays lined with silicone sheets or non-stick paper. Use the point of a sharp knife to cut a slit along the middle of each navette. Set aside for an hour at room temperature. Preheat the oven to 160°C. Beat the remaining egg yolk with a little water and paint this mixture over the navettes. Bake in the oven until golden and cooked through. How long this takes will depend on how large you’ve made them, but around 15 – 20 minutes should do it. Allow to cool fully on a wire rack before munching. It’s not been a great year for tomatoes in our garden but then it’s not been that bad either. I wish I could pass on gems of wisdom about how to grow the best tomatoes in a variable climate but I’m still wondering myself. The only useful thing that I think I can say is that, after a number of years, Sungold is still my favourite variety of tomato to grow. It’s small, relatively common and doesn’t look too inspiring but it’s reliable and has the sweetest and most addictive flavour when freshly picked of any tomato that I’ve ever tried to grow. On the other hand, if you have some larger tomatoes to use up, then this recipe is excellent. To call it a Tarte Tatin is likely to have the Tatin sisters turning in their graves, but let’s not worry too much about that for the moment. This is an Australian recipe by Marieke Brugman and I first came across it some years ago when she was still at the apparently now defunct Howqua Dale Gourmet Retreat in Victoria. You can find the full recipe here. For once in my life I pretty much stuck to the original recipe, although I did cut down the quantities a little and I used a good Greek feta rather than a goat’s cheese. The pastry may seem a little unlikely for a tarte Tatin but it works really well in this recipe. A bit messy to eat, perhaps, but all you need is a small fresh green salad alongside for a superb lunch. In my last blog entry I was extolling the virtues of prunes in armagnac and the sheer joy of using them in ice cream. Assuming that you have some armagnac-soaked prunes, then the easiest way to create an ice cream is to stir some chopped prunes with their armagnac juices into softened, shop-bought vanilla ice cream. But, although the following recipe is more complicated, it’s much nicer in my opinion. The taste is truly intense and the combination of the residual alcohol and mascarpone makes for a velvety smooth feel. Definitely a grown-up sort of ice cream and definitely one of my favourites. You don’t have to soak the prunes for 4 weeks to make this ice-cream – overnight will do at a pinch – but if you have got the patience then I promise it’s well worth the wait. Allow the syrup to cool a little, then put it into a food processor with the prunes and fromage frais. Whiz them together until well mixed but stop before the prunes are completely obliterated – a few small chunks will be no bad thing. Place the mixture in the fridge and wait until it’s thoroughly cold. This ice is quite rich and powerful so serve small scoops with suitable biscuits or alongside plain cakes or light chocolate desserts. In fact, it's great just in an ice-cream cone. Less obviously, perhaps, I think it also works well with apple desserts or with other baked fruits. A month or so ago I found some prunes just lying around doing nothing. Since it was a wet afternoon and I was thinking about sunnier days, I decided to soak them in some armagnac in a Gascogne manner. Actually, this is not really a Gascogne manner - it’s just what I do. There are many variations on prunes in armagnac and maybe my method is not entirely traditional, but it works for me. You could, of course, use brandy if armagnac is in short supply or a bit too expensive but if you’re approached by anyone looking even slightly like they come from the south of France and asking awkward questions, then please tell them that you’ve never heard of me and that I never said the bit about brandy. Once the prunes have matured they not only smell fantastic, they’re also extremely useful. They can be used in tarts, clafoutis and many other desserts but they’re also great in sauces and stuffings with pork and poultry or in terrines and casseroles. Probably the favourite way of eating them in this household, though, is in ice cream and I will reveal more of that very shortly…..
Place the prunes in a heatproof bowl and pour over the hot tea. Leave to soak for an hour or so. In the meantime, make a simple sugar syrup by putting the caster sugar and water in a saucepan and bringing to the boil, stirring now and then. Boil for about a minute (make sure that the sugar has completely dissolved) and take off the heat. Drop the pieces of lemon peel into the hot sugar syrup. Strain the prunes and discard the remaining tea. Put the prunes back in the bowl, pour over the sugar syrup, cover the bowl and leave somewhere cool overnight. The next day, strain the prunes, reserving the syrup but discarding the lemon peel. Put the prunes into a preserving jar (a jar of around 600 – 700 ml should be fine). Mix the reserved syrup with the armagnac, pour over the prunes and seal the jar. Store somewhere cool and dark for around 4 weeks before using. For this month’s We Should Cocoa challenge Choclette of Chocolate Log Blog has challenged us to use both rose and chocolate. I thought of a number of ways to put the two flavours together, but came to the conclusion that this isn’t an easy combination to carry off. So in the end I thought it would be safest to borrow a few ideas. I’ve pinched the idea of the tart case from a Donna Hay recipe. Essentially she uses a simple coconut macaroon recipe to make tart cases by shaping them in muffin tins. It might not be as adaptable as a conventional pastry tart case but with the right filling it makes a great alternative. For the filling, I’ve added rosewater to rice, which is a combination that seems to turn up everywhere from Greece to India and most places between. Finally, all that sweetness needs some dark chocolate on the top to balance it – or maybe I was just thinking about Bounty bars. This should make 8 – 10 tarts, depending on exactly how big your muffin tin might be. To make the coconut tart cases, preheat the oven to 170°C and simply mix the three ingredients together thoroughly. (It may seem at first as if they’ll never come together but I promise they will). If you have a silicone muffin mould, then use it but, if not, carefully and thoroughly grease a muffin tin. Press the mixture into the muffin mould with damp fingers and shape it as evenly as possible across the base and up the sides. Bake for around 10 –12 minutes until the shells look golden on the edges. Leave them to cool in the mould for a few minutes before carefully removing and putting on a rack to cool completely. To make the rice filling, put the milk and rice into a saucepan and bring to the boil. Lower the heat and simmer gently, stirring every so often, until the rice is tender. This is likely to take 20 – 30 minutes. (A little texture in the rice is good, but too much isn’t so nice). Add the sugar and stir until it’s dissolved and the rice mixture has a nice creamy consistency. Take off the heat and stir in the rosewater. Set aside to cool, stirring every so often. Once cold, fill the coconut tart cases. (You may have a little rice left over as a cook’s treat– it’s good with raspberries or fine just on its own). For the topping, simply melt the chocolate in your favourite way and spread it evenly over the tarts. If a little drips down the side, then that’s just life. Serve the tarts cold but preferably not too chilled. Not that far from here, just across the Channel in the north of France, lies the little town of Arleux, where they’ve been producing smoked garlic for over 400 years. Originally, it seems, the garlic was smoked to ensure that it could be kept for a long period but these days it’s more for its flavour. I first heard of Arleux when I came across a version of this simple soup, although I have to admit that this recipe is not authentically Arleusienne. It’s also not as overwhelmingly garlicky as you might think, especially since I’ve near enough halved the amount of garlic in the original. Quite rightly the people of Arleux celebrate their local produce by holding a festival - ‘La foire à l'ail fumé’ - in September every year and have a Confrérie to support and promote the garlic - La Confrérie de l'Ail Fumé d'Arleux. I’m particularly pleased to note that they wear fantastic hats. (Although possibly not as fantastic as the hats of La Noble Confrérie du Gâteau Battu – but that’s another story). Finally, before I get to the recipe, I have to confess that I used British smoked garlic when making this soup. We produce excellent smoked garlic in this country these days, but we just don’t come close when it comes to wearing great hats to prove it. When choosing the garlic for this soup choose the smokiest you can find. The traditional variety of garlic grown around Arleux is relatively small compared to some smoked garlic I’ve seen, which is why I’ve given an indication of the total weight of the cloves needed. This amount will serve two and, although the garlic isn’t overpowering, don’t arrange too many close encounters for the rest of the day, just in case. Peel the garlic cloves and remove any central green bits there may be. Peel and chop the potato into small chunks. Peel and chop the carrots finely. Bring 1 litre of water to the boil and add all the vegetables. Add a generous amount of pepper and a little salt and bring back to the boil. Turn down the heat and simmer very gently until all the vegetables are completely tender. This could easily take an hour if you’re cooking it gently enough. (If the mixture starts to dry up, add a little more liquid and turn the heat down a touch). Allow the mixture to cool a little and whiz it in a blender until smooth. Adjust the seasoning and a little extra water if the soup seems too thick. To serve, reheat the soup, add a dollop of crème fraîche to each bowl and sprinkle with the chopped parsley. Some versions of Arleux soup call for garlic croutons to be served with it; personally, I think that might be a clove too far. For this month’s Belleau Kitchen Random Recipe challenge I arbitrarily selected the book “Simple Good Food” by the formidable Jean-Georges Vongerichten, co-authored by the redoubtable Mark Bittman. This is an excellent book which I’ve used on many occasions – in fact, it tends to fall open at the Pork Baeckoffe page. This time, though, I opened it in the dessert section and came up with Coconut Sorbet. I’ve looked at this recipe in the past and somehow it just seemed too simple to work. Oh me of little faith – I now know that it’s excellent. Really simple to make but delicious to eat. It’s called a sorbet and technically I suppose it is but the result is a lot creamier than any normal sorbet and pure in both colour and taste. The sorbet worked really well alongside mango and berries dressed with a little lime juice but it was also lovely on its own. I’ve halved the quantity given in the book because that’s all my little ice cream maker can handle but it still produced a fair amount. In fact, according to the book, this amount should serve 2, but I think it will actually serve 4 comfortably. You could use reduced fat coconut milk but for the really creamy effect, the full fat version is best. You could also use either white rum or Malibu but, in my opinion, Malibu is nicer. (By the way, if you’ve never tried Malibu on melon, then it’s worth knowing that it makes an excellent alternative to port on a summer’s day.) Freshly made sorbets don’t always keep well and this is probably best eaten within 3 or 4 days but I don’t think you’ll find that a hardship. Put the coconut milk and sugar in a saucepan over a medium heat and whisk until the sugar dissolves. Stir in the Malibu or rum. Chill the mixture, then pour into an ice-cream maker and churn for as long as recommended in your instructions. And that’s all there is to it. I don’t think you’ll be disappointed unless you really dislike coconut. It wasn’t really W.G. Grace that I met - after all he died in 1915 - but this man definitely looked a lot like him. It would have been the cricket season at the time because I’m sure it was summer. In fact nobody really bothered with winter back then – it just didn't seem necessary. We got talking. I probably said something witty like “Do you know that you look like W.G. Grace?” In return, he told me two things about food that I’ve sort of remembered ever since (I told you I’d get to the food bit eventually). First, he told me that there was a fish that nobody wanted to eat and so it cost next to nothing but was really tasty. One of these days it was going to be popular and expensive. I’d never heard of it – it was called monkfish. The second thing he told me was how he made carrot cake. I should have paid more attention or written the recipe down but I wasn’t into food as much back then. (I’m not entirely sure what I was into, but it probably had long guitar solos). The other day I was watching a field full of cricketers running to get out of the rain when I suddenly remembered this encounter and decided to try to recreate that cake. I’m sure it wasn't an American style cake with cream cheese topping but I think he said he put icing on it. I also remember him saying that he used orange and lemon. That does sound most like a Swiss-style carrot cake and so here is my attempt to capture the spirit of that cake even though it’s nearly forty years late. I don’t know if it’s close to the original but it tastes very good and I greatly enjoyed a slice or two as the rain dripped gently off the pavilion roof onto a copy of Mr R. “Richie” Benaud’s autobiography. Butter a 22cm cake tin (springform, preferably). Preheat the oven to 180°C. If you use a processor to grate the carrots, then they may be a little liquid. If so, wrap them up in a clean tea towel and squeeze out some of the excess juice before weighing them. Whisk the egg yolks and sugar together thoroughly until they look very pale. Beat in the flour and baking powder. Stir in the grated carrot (the mixture will be quite stiff at first, but keep at it), followed by the ground almonds and finally the lemon juice and zest and the orange extract. Make sure that all the ingredients are evenly mixed in. Whisk the egg whites to the stiff peak stage and fold them carefully but thoroughly into the mixture. (This will be easier if you do the usual trick of stirring in a large spoonful of the egg white before starting to fold in the rest). Pour the mixture into the tin, even it out and bake for 35 to 50 minutes. The cooking time is likely to vary a fair bit depending on the juiciness of your carrots. Test in the usual way by inserting the point of a knife into the cake – it should come out clean. Allow the cake to cool a little in the tin before removing it and leaving it to cool completely on a rack. For the icing, simply mix the icing sugar with the Cointreau and orange extract, then add as much lemon juice as needed to make a pliable, smooth icing (you may need a little more than 1 tablespoon of lemon juice). Spread evenly over the cold cake. For this month’s Random Recipe Challenge Dom of Belleau Kitchen has asked us to select a recipe (randomly, of course) from our favourite cookbook. Well, I’ve got a fair number of favourites, mostly made up of books that remind me of good times. It’s difficult to choose just one among those, so instead I’ve gone for my favourite practical cookbook. This is the one I reach for whenever I need to remind myself how to do something or when I need a reliable recipe in a hurry. That used to be Delia, but recently it’s been Darina Allen’s ‘Ballymaloe Cookery Course’. (Not that I’ve got anything against Delia, I hasten to add). On opening this weighty tome I was faced with a page of chutney and relish recipes and, since I’m currently blessed with a generous harvest of chillies from the plants on my windowsills, I seized on a Tomato and Chilli Jam recipe. Once I started to make the jam, though, I felt a bit of a fraud since it’s very similar to the recipe that I usually use for chilli jam. So, a little less random than I intended but still a really good tomato and chilli jam that’s extremely useful in marinades, on bruschettas or burgers, alongside cold meats etc etc. Ms Allen reckons that this should make 3 pots, but she must be talking about pretty small pots. I reckon it’s about 1½ standard jam jars. Peel the tomatoes and cut them into 1 cm dice. Put them into a blender along with the chillies, garlic, ginger and fish sauce and whizz. Put the purée, sugar and vinegar into a stainless steel saucepan and bring slowly to the boil, stirring occasionally. Cook gently for 30 - 40 minutes stirring every now and then to prevent sticking. Pour into warmed, sterilised glass jars and seal. Allow to cool and store in the fridge. From past experience it can be a little difficult to know when this jam is thick enough. If you’re unsure, you can do a standard wrinkle test, even though it has a different consistency to a fruit jam. Chill a saucer in the freezer, put a small dollop of the jam on the saucer, wait a moment or two and if the jam wrinkles when you push it, then it’s ready. Just between us, if you’re pressed for time you can make this with drained, tinned tomatoes, but lengthen the cooking time a little since you’re likely to be adding more liquid. Don’t tell Ms Allen I said that, though; she might not approve. I recently promised that I’d post a low-fat frozen yogurt recipe, so here goes. On a warm summer’s day when the need for cooling refreshment comes upon me like a thing that comes upon you, then that’s the time that I want something made with limes. I’ve recently seen a number of ices that combine lime with basil and I’m happy to confirm that it’s a combination that works. If you have an ice-cream maker, then this recipe is really simple but very refreshing. But first, a short digression on basil. There’s a temptation when writing down recipes to say something like “add two or three leaves of basil”. Well this year I've been growing Neapolitan basil and the leaves are huge as the following picture of an average-sized leaf reveals. I’ll never specify the number of basil leaves in a recipe again (probably). Whisk all the ingredients together thoroughly. Chill the mixture in the fridge for half and hour or so before pouring into the ice-cream maker and allowing it to churn for the recommended time. I was hoping to enjoy this frozen yogurt quietly in the garden. Sadly there were a large group of parakeets re-enacting the major battles of the English civil war in the surrounding gardens (thanks a lot, Jimi *) and then it started to rain. So I came inside and listened to this instead – to me it just sounds exactly like summer ought to be. * – There is an urban myth (at least, I assume it’s a myth) that Jimi Hendrix released the first parakeets from an aviary back in the sixties. They are now one of the commonest and certainly the noisiest birds in Surrey.